Jack-in-the-Pulpit is a charming addition to woodland gardens, naturalized areas, rain gardens and native plant gardens. 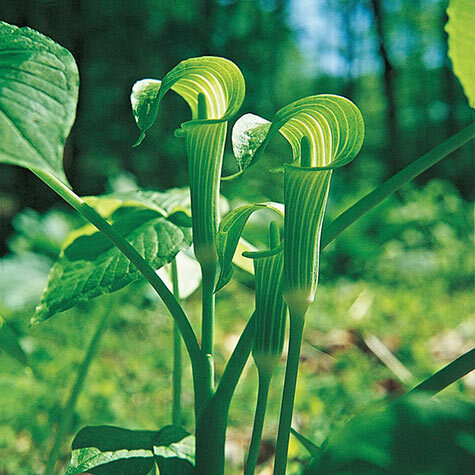 A native wildflower, Jack-in-the-Pulpit produces spikes with green to purple, and sometimes striped, flowers in late spring. The leaves grow in groups of three. The tropical-looking perennial gets its name from its flower shape. 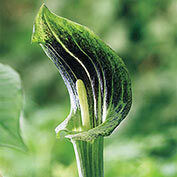 The spadix, or flower spike, is the "Jack," while the hood, or spathe, is the "pulpit." Growing 12-24" tall, Jack-in-the-Pulpit performs best when planted in fertile, medium to wet soil in full to partial shade. Once established, it's an easy-to-grow, low-maintenance perennial. No. 1 bareroot. Zones 4-9. Depth: Lay flat and cover root division with 1-1/2 inches of soil. Light Required: Part to full shade. Color: Green-yellow with purple patterns on inner and outer leaves. Foliage: Two 3-lobed leaves on 12 inch stems. Soil Requirements: Constant moist wet site. Size: 4 - 7 inches tall. Comments: Mix in generous amounts of peat moss, compost, or well rotted dehydrated manure into the soil. Keep soil moist during growing season. Mulch to retain moisture. Feed in early Spring with a 5-10-5 fertilizer. Growth begins as dark red. Unique characteristics: Green mottled spike. The pulpit is green to purple outside, striped pale purple-brown inside. Flower is green to purple. 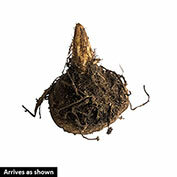 Dried bulbs/corms used medicinally after boiling. 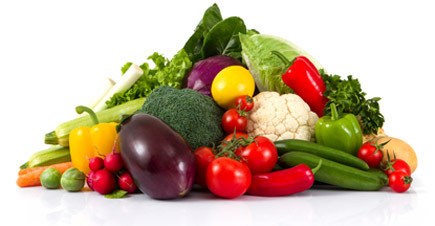 Toxic if eaten raw. Bulb/berries contain oxalate crystals - wash hands after handling. Foliage may cause dermatitis if touched. Toxic if ingested.